PRESERVATION ARTS (formerly SF Art Conservation) provides the finest in expert conservation services of objects, paintings, sculpture, works on paper, books and murals. 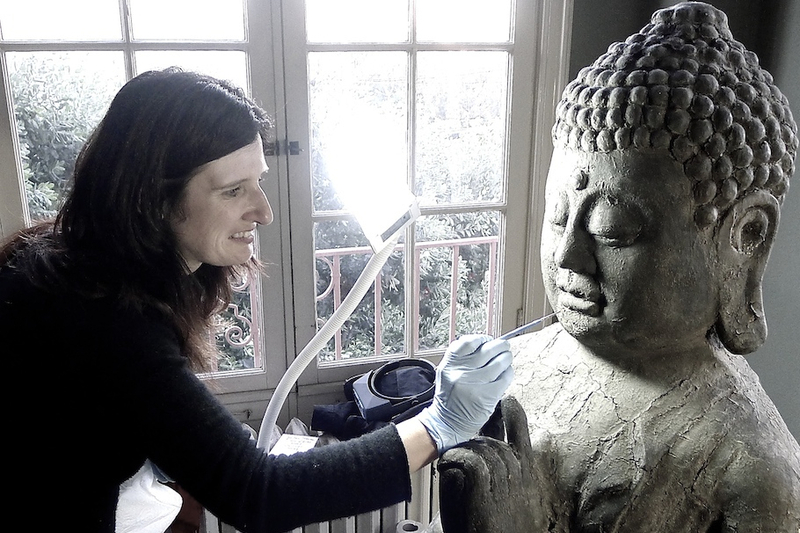 Rowan Geiger, director and principal conservator of SF Art Conservation, holds a Masters Degree in conservation from the Royal College of Art, London and has over 20 years of experience in the field. In addition to three years in studio training at the Victoria and Museum, London, she has held staff positions at the Fine Arts Museums of San Francisco, San Francisco Museum of Modern Art, Asian Art Museum of San Francisco, Stanford University Libraries, and was Head of Conservation at SFO Museum. Rowan is a peer reviewed Professional Associate of the American Institute for the Conservation of Historical and Artistic Works. In addition to managing and overseeing all work at SF Art Conservation, she maintains a staff position at SFMOMA as on-call objects conservator, is an advisor on the Collections Committee for di Rosa and is a member of the board for the Western Association for Art Conservation. Rowan has extensive experience with assessment and treatment of objects, and conservation management of museum and public art collections. She has worked with a wide range of cultural heritage from ancient to contemporary art, and regularly works with artists and artist studios to develop strategies for preserving their artworks. Stephanie Limoges, senior paintings conservator, received her masters degree in the specialization of paintings conservation from the University of Melbourne, Australia. She has since had over 5 years experience working in both paintings and frames conservation at major fine arts institutions in Australia, and more recently, here in the Bay Area at the Oakland Museum of California. She has a long history in reproduction frame making, gilding and the restoration of frames and polychrome objects prior to gaining her degree in paintings conservation. Her treatment experience and expertise run from medieval panel paintings right through to contemporary acrylics and mixed media. She has also done extensive work in collections care, including condition assessments, whole collection surveys and reporting as well as storage and environmental assessments and monitoring.